Jessie Buckley dazzles in this heel-tapping ballad of an aspiring Glaswegian country star. Rose-Lynn Harlan (Buckley) is an ex-con and a wannabe country singer from a Glasgow housing estate. Clashing with her mother (Julie Walters), can she reconcile reality and mundanity as a mum with dreams of reaching Nashville? 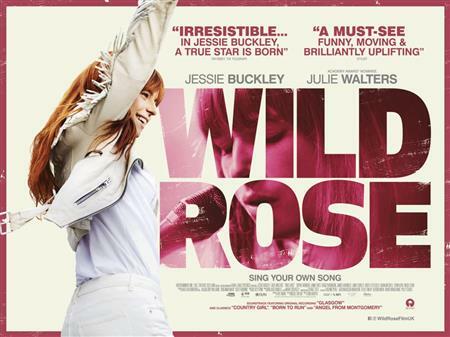 "Wild Rose is the best film of its kind since Billy Elliot." "A fabulously entertaining, funny and affecting movie, accomplished filmmaking that is still raw when it needs to be. Buckley is extraordinary as a scrappy fighter with a voice that comes from her heart and her home." "Jessie Buckley's soaring performance is an absolute must-see."